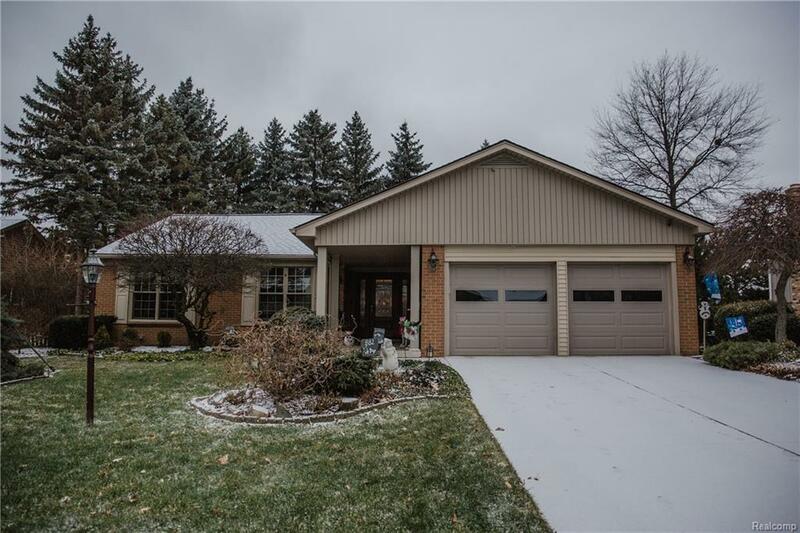 Three bedroom, two and a half bath ranch style home in the heart of Rochester Hills. Meticulously maintained and exquisitely updated throughout. Newer kitchen cabinetry, silestone counter tops, tile backslash and a new wood look tile floor. Bathrooms have also been updated to include new vanities and fixtures. New carpet in Family room, Living room and hallway. All three bedrooms have hardwood floors. The roof was replaced a few years ago and the furnace and A/C was replaced in late 2018. Out back you can relax on your new flagstone patio or welcome your guests at the impressive front door with dual side lights and leaded glass. Warm yourself next to the natural gas fireplace in the Family Room while you watch TV and wind down and enjoy your new home. All the appliances are staying along with the washer/dryer and an extra refrigerator in the basement. Close to downtown Rochester, parks, paths and trails, shopping, dinning and access to all the Rochester Hills area has to offer.